Governments have never fully loosened their grip on the flow of data. To the globalists’ dismay, recent years have seen the strengthening of national borders. State sovereignty rages on with each vehicle returned and each visa revoked. 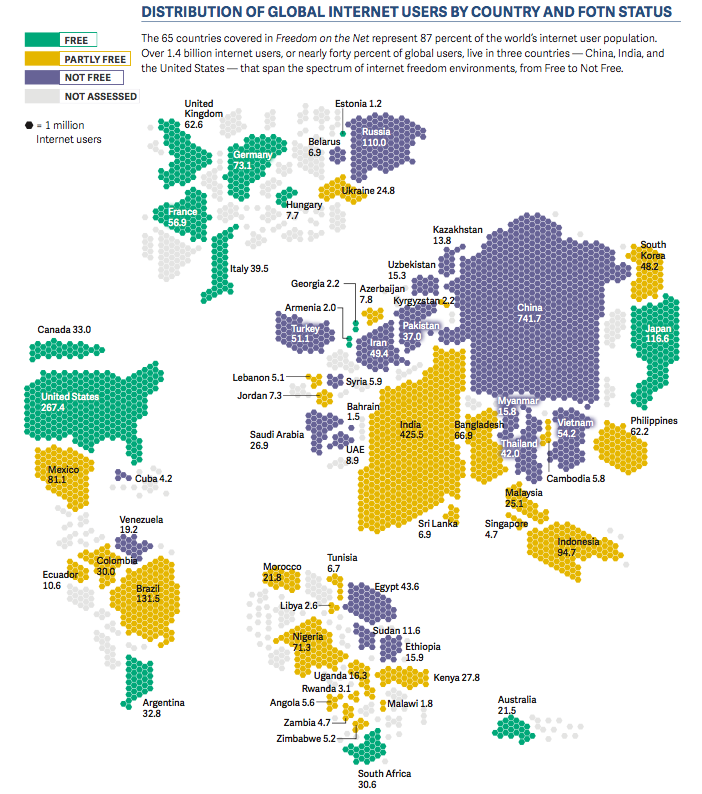 But in case you thought the divisions were just physical, virtual borders have also been subtly dividing the world. You land in Country A with every hope for a romantic getaway, only to find that the dating app you had just used at the airport now no longer works on your phone. That’s fine. But minutes before your big business meeting in Country C, you fall into a total panic when the cloud drive on which you’d stored all your files in Country B somehow won’t open on your laptop. This is bad. The state’s power to disrupt and exclude goes far beyond the flow of people, goods and money. In erecting virtual borders, states are asserting an even more formidable type of power through controlling the flow of information on the internet. Unlike physical borders, virtual borders are at once everywhere and nowhere, and one may never even know for certain whether they exist. Sure, you don’t really “see” internet control because it involves neither barbed wire nor semi-automatic weapons. It’s just some petty, sterile, innocuous bytes. Or is it? Let’s see what actually gets disrupted when internet restrictions occur, so that that we understand just how extensive and complex they can be. Firstly, there are ideas. The most obvious reason for state governments to censor the internet is to limit the spread of ideas deemed unpalatable or instigative. 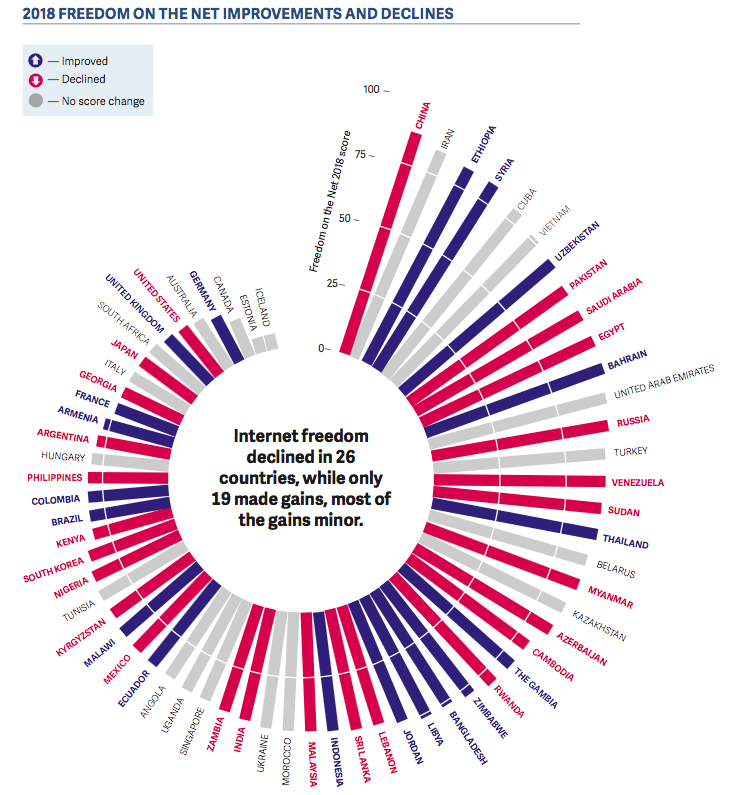 Having witnessed how a simple social media platform helped precipitate a revolution in 2010, governments around the world are right to be worried: the 2018 Freedom on the Net report registers a global decline in internet freedom as the result of heavier meddling by governments, notably when it comes to elections. But governments are not only squeamish about bloody coups. They know full well there is more to information flow than simple ideas. For some time, people have talked about information being a factor of production, but the focus here really is data – the “new oil” in the digital economy. For tech firms that depend on algorithm training for improving their products and services, data is as valuable as any form of capital – if not more. And here’s the less obvious part of the censorship story. Political scientist Molly Roberts observes that censorship regimes like the China’s "great firewall” essentially impose a tax on internet users by increasing the cost of accessing information. But if censorship is a tax for domestic citizens, it can well be a tariff when it comes to international trade. This is exactly where things are headed. Since 2016, the US trade representatives have alleged that China’s internet policy constitutes a trade barrier in its National Trade Estimate reports. They claim that web filtering and blocking have affected “billions of dollars in business, including communications, networking, news and other sites”. The US has also raised this concern to the World Trade Organization. If carried through, such a complaint would start a new chapter in global trade by formally recognizing the impact of virtual measures on trade in both virtual and real goods and services. The bottom line is this: to the extent that data is a form of capital in the digital economy, internet control is a form of capital control. In addition, internet control acts as a two-way barrier by simultaneously preventing foreign digital products and services from entering and domestic user data from exiting. Information means many different things all at once. Controlling its flow can thus do many different things, also all at once. Just as one could get jailed for helping others cross physical borders, one could now get jailed for helping them cross virtual ones, too. 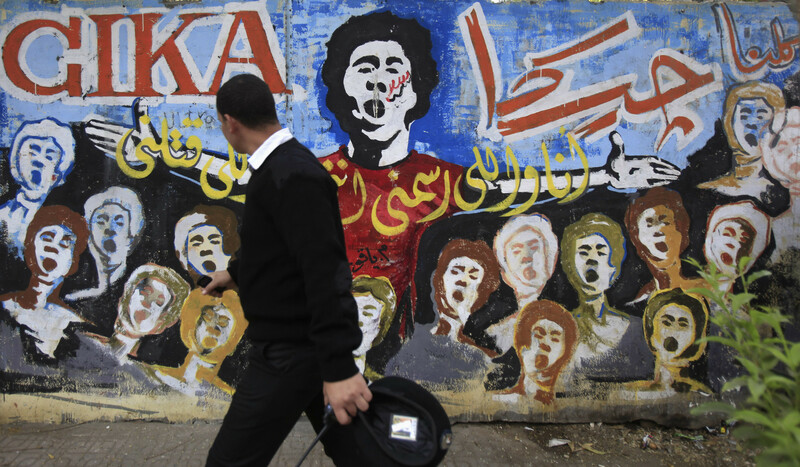 An Egyptian police officer passes a mural depicting youth activist killed during the 2011 Cairo uprising, which was organized through social media. Pervasive as it is, one may never notice that internet control exists even while being subjected to it. In summer 2018, independent news organization the Intercept broke the story that there had been discussions within Google about launching a censored version of its search engine in China. The version would “automatically identify and filter websites” blocked by China, and any such materials would be removed from the first page of results. Whether or not this censored version will come into being is less important than the real possibility that state governments may have already been quietly setting the boundaries of the information we acquire through supposedly “private” providers. As with any human right, how much of the so-called “right to connect” a citizen can exercise is the result of the balance of power between the state, corporate actors and individuals. We cannot simply sort it out with the dotcoms – states have never loosened their grip on the reins. Before the recent Google episode, Facebook had been reportedly developing a software tool that would suppress certain content, in an effort to re-enter China after being banished in 2009 when activists used it to organize the Ürümqi riots. More disconcerting than what was being negotiated is the opacity of these bargains, which take place entirely between the state and the corporations, to the exclusion of private citizens. If this is to be the norm for cyberspace governance, we’re talking about a virtual domain in which borders are drawn in an even more authoritarian fashion than those in the physical territory. Algorithmic black box systems, impenetrable to scrutiny, provide just the right back channel for state governments to make any virtual borders appear invisible. Different search results in Beijing than Boston? Just a taste of our optimization secret sauce, for a better user experience. If such digital balkanization is allowed to proceed, it won’t be long before we become oblivious to the silos of information we inhabit. Is there any way out of this? Not easily. The European Union’s General Data Protection Regulation, which countries like China have already started emulating, stops short of addressing algorithmic transparency in the direct, aggressive manner that is often required. A step further in that direction is a matter of pressing urgency, yet given how much pushback there has already been against GDPR, one should expect a steep, possibly sisyphean, uphill battle. One last thing must be said about internet restriction: many are aware of it being a form of legal control through punishment. There is far less awareness of it being a form of architectural control through inconvenience. High-profile arrests make the former easy to spot, but the latter often passes under the radar. In his incisive analysis of cyberspace regulation, legal theorist Lawrence Lessig lays out four means through which the state regulates: rules, norms, prices and architecture. Whereas law regulates through the “punishment it threatens”, architectures regulate through the “physical burden they impose”. What makes architecture particularly dangerous, according to Lessig, is its ability to mask an intended regulation as an unintended consequence. In the US, for instance, once racially segregationist provisions were ruled unconstitutional, numerous “tiny inconveniences of architecture and zoning” arose in their place – from highways without easy crossings to railroad tracks designed to divide. The same logic operates in cyberspace. Blatant acts of suppression that make headlines are the tip of the iceberg, while the bulk of control hums away below the surface. Internet censorship that works through “fear", Roberts notes, makes up just a small and often ineffective fraction. Much of the control is in fact exercised through “friction” – the increased burden of accessing information, such as a slightly longer connection time, that can be easily “explained away” as a technical glitch, an honest architectural flaw. So here you are, opening a webpage and noticing it’s taking longer to load than usual. You suspect something is wrong but you can’t be certain – has some sensitive term you looked up earlier put you under probation? Is it one of a few websites blocked during particular times? 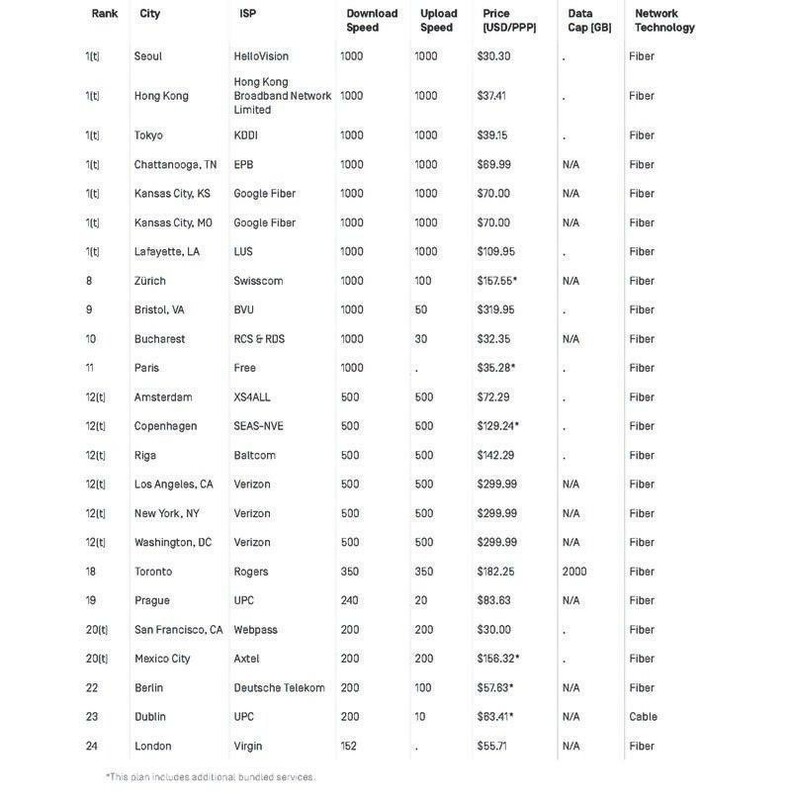 A change in bandwidth by your internet service provider? Or simply the quotidian nuisance of having a somewhat crappy internet infrastructure? As you get dizzy with all the possibilities, you start to think that maybe the celebrity gossip page really isn’t worth it and you should be working instead – except GitHub is also taking forever to load. 404: page not found. Okay. You decide to pour yourself a scotch and call it a day. You see the news about refugees dying at sea and families being separated. You feel ashamed that the biggest problem in your life right now is an error message. You indeed live in a different world – a world where borders are salient and silent, where power commands through backspaces and forward slashes, and where exclusion sounds nothing like “Get out of my country” and everything like “The connection has been reset”. And we’re all in that different world now.